Polnox named one of the “12 Hot Bio-Based Technologies Worth Watching” in Biofuels Digest’s June 25th, 2012 Issue. 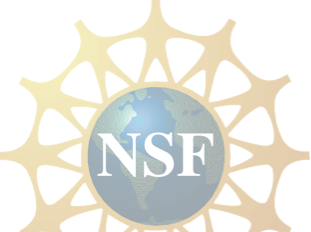 Polnox is recipient of the Small Business Innovation Research Award from the National Science Foundation. Polnox awarded its 23rd patent, “Lubricant Oil Compositions,” on January 6th, 2015. Author T.F. DeRosa features Polnox technology in the book Next Generation of International Chemical Additives (2013). An industry analyst highlights Polnox’s technology in the September 2014 issue of Compounding World. Polnox is recipient of the Technology Innovation Award from the Wall Street Journal (runner-up). Polnox in “Biolubricants - A Global Market Overview,” a market analysis report prepared by industry experts. Polnox presented, “Improving the Thermo-oxidative Stability of Biolubricants: New Antioxidant DT-mPM Technology” at STLE’s 70th Annual Conference. Polnox awarded its 24th patent, “Macromolecular antioxidants comprising differing antioxidant moieties,” on November 24th, 2015. Polnox awarded its 25th patent, “Nitrogen and hindered phenol containing dual functional macromolecular antioxidants,” on July 12th, 2016. Polnox presented talk on “Improving Thermo-oxidative stability of Paints and Coatings” at the American Coatings Conference in April 2016. Polnox featured in a special report of Tribology & Lubrication Technology Magazine’s September 2016 issue. Polnox awarded its 26th patent, “Lubricant Oil Compositions,” on December 20th, 2016. Polnox presented “Addressing the Thermo- Oxidative Stability of Environmentally Friendly Biobased Lubricants” at STLE’s 72nd Annual Conference in Atlanta, GA.
Polnox is recipient of the National Science Foundation Small Business Innovation Research Award. Polnox nominated for the 2017 Start-up Challenge Award at the World Materials Forum in Nancy, France. Polnox’s presented “Development of New McIn™ Dual Function Corrosion and Rust Inhibitors for Environmentally Acceptable Lubricants (EAL)” at STLE’s 73rd Annual Conference in Minneapolis, MN. Polnox awarded its 27th patent, “Macromolecular antioxidants comprising differing antioxidant moieties: structures, methods of making and using the same,” on April 24th, 2018. Polnox’s Chief Technology Officer, Dr. Ashok Cholli, becomes member of the editorial advisory board of Tribology and Lubrication Technology publication.